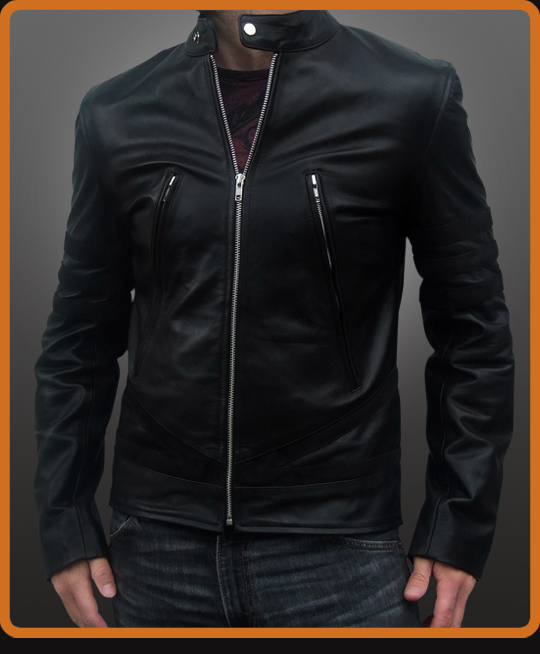 A cafe racer motorcycle jacket influenced by the leather jacket worn by Logan/Wolverine in the X-Men movies. Complete with long front and cuff zips. Suede waist and cuff detail. Slim fitting leather jacket.